Gary H. Meyers passed away in Stockton, CA on Saturday, May 18, 2013 at the age of 77 years. Gary was born January 27, 1936 to Herbert Henry and Patricia Rose (Ruiter) Meyers in Tacoma, Wash. He graduated from San Mateo High School, San Mateo, California in 1953. Gary entered the US Army with lifelong friends Richard Schaldach and Glen Beecher in 1955. He was a Green Beret with the 77th Special Forces Group and was assigned to Bad Tolz, Germany until returning stateside in 1958. In 1975 he joined the Army Reserves. He received a Master’s Certificate at Fort Eustis, VA in 1981, and operated Landing Craft Utility boats in the “Army’s Navy.” He was awarded an Army Commendation for Lifesaving after saving the life of a local wind surfer on the Sacramento River. Gary worked in a variety of businesses that included managing a Firestone Dealership; and as a Wine and Beer distributor in San Joaquin and Calaveras Counties. In 1978 Gary began working for the Dept. of the Army as an Electronics Tech at the Rio Vista, Stkn, and Sacto Army Bases. He retired in the spring of 2000. Gary will be remembered for his unconditional love of his family, unwavering support for his country, and his pride in his military service. Warm and outgoing, with a quick smile and a ready wit, he never met a stranger. Gary is survived by his loving and devoted wife of 34 years, Sandra, and four children: Lisa (James) Hill, Lynn, David (Toni), and Richard Meyers, all of Lodi. Gary always said his claim to fame was being their Father. Gary was a loving Papa to eight Grandchildren: Max and Simon Hill, Alexander, Allegra, and Xavier Cesena, and Jordan, Samuel, and Rylan Meyers. He is also survived by his cousins Gary (Jeanie) Bullock of Idaho and Jon Bullock of Oregon. He is sorely missed by his four-legged companion Katie. Gary is predeceased by his Parents, his Stepfather Harold Smith, an infant brother, his Uncle Clinton (Minnie) Ruiter of Oregon, his Aunt Clara Bergstedt of San Mateo, and his beloved Cousin, Phyllis Bullock of Oregon. 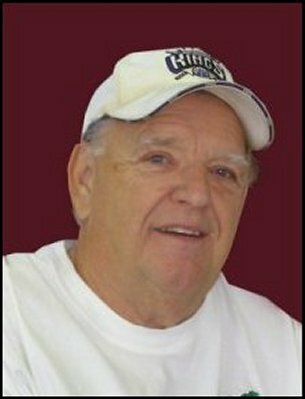 A Memorial Service will be held Tuesday, May 28th at 11am at Temple Baptist Church, 801 S. Lower Sacramento Road, Lodi. A private Inurnment will be held at the Garden of Freedom in Cherokee Memorial Park, Lodi. Please sign the guestbook at Cherokee Memorial and Lodi News Sentinel.